Honda designers and engineers are constantly creating new features that will make your driving experience stress-free and more enjoyable. The Accord is Honda’s most luxurious sedan, so it is always equipped with the latest and most innovative technological features. Take the Accord’s steering wheel for example, it’s cleverly designed to give the driver everything they need, right in front of them. With Accord’s Steering Wheel Functions, you can control your audio system, make or answer calls, perform commands with the voice recognition system and access your navigation information. With the mounted audio controls on your steering wheel, you can access the audio system in your Honda Accord. All you have to do is press the home button to access the Driver Information Interface or DII and you’ll be able to choose between FM, AM, Bluetooth®, Apple CarPlay™ or Android Auto™ functions. 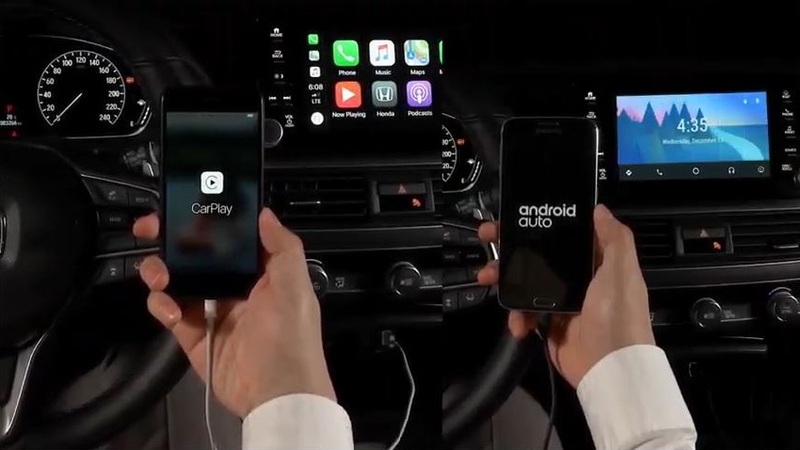 When your Apple or Android phone is connected, the audio system will automatically show Apple CarPlay™ or Android Audio™ as an option which helps you to get directly to your music and skip few steps. So whether you are commuting daily, or going on a road trip, you can enjoy your favourite artists and songs. 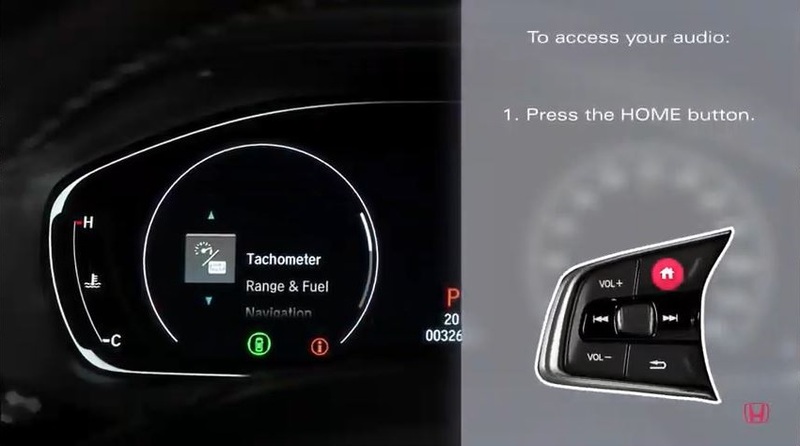 The navigation controls are available on the Accord Touring and Accord Touring 2.0 models. This system provides all the navigation information you need for your trip. If you want to drive to a previous destination, all you need to do is select the Navigation feature that is indicated by a compass on the DII. You can also save your favourite destinations for your easy access. The Heads-Up Display system or HUD is designed to help you keep your focus on the road ahead of you. It offers access to navigation and driving information such as your speed, tachometer, speed limit and safety information. When your Apple CarPlay™ or Android Audio™ systems are enabled, you can access voice recognition with Siri or Google Assistant. Through these systems, you can ask to call or text your contacts. Pairing to your Bluetooth® in your Honda Accord is another option to make or receive calls. 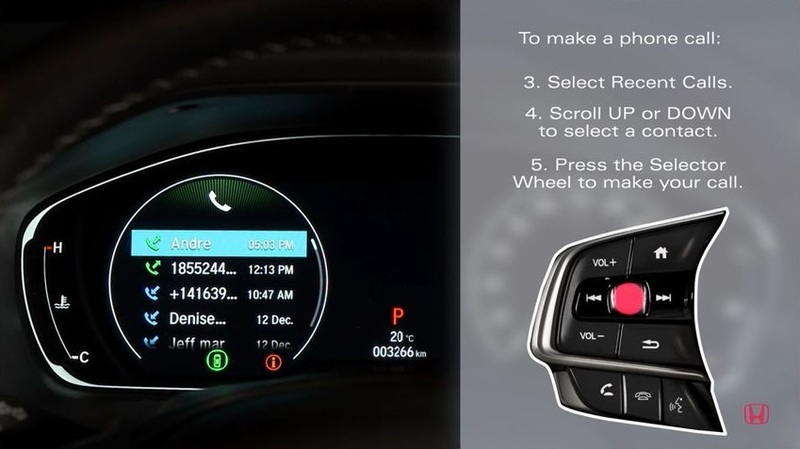 Press the phone icon on the steering wheel or scroll up or down to select favourite contacts or recent calls. To end the call just press the hang up button! The Accord’s Steering Wheel Functions make calls convenient while helping to keep you safe on the road. Contact us at Alberta Honda if you have more questions about the Accord’s Steering Wheel Functions or if you want to book a test drive.